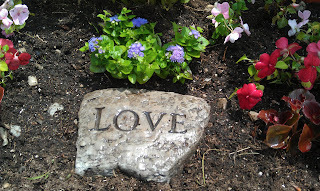 Love is Everywhere: Beauty & Love! There really is beauty all around us, especially in history. This past weekend has been wonderful and quite emotional for me on all different levels. I said goodbye to two great friends of ours as they make their trip out west. I also, visited a close friend of mine, Sherry, who's in the midst of battling cancer. My friend, Li and I had gone together to see Sherry at her home and we had a really nice visit. Sherry was in high spirits and smiling the entire time. We made her laugh, and she did the same for us. She reminds us every time we see her how beautiful life is, and I keep telling myself that each day with every decision I make. She's a genuine person, probably the most I've ever known. As we left her house, Li and I made our way back to our town and took a bit of a scenic route. Immediately, this house that I've seen so many times throughout my life appeared in the distance. Li asked if I've ever seen this house before, I commented how it's spooky but so beautiful and I love how they never fixed it up, because it must have so much history. She agreed and asked if I've ever seen the 500 lb+ bull in the back. That I had not seen. Matter of fact I did not know if anyone even lived in the house. You'll see in the bottom left picture there is a bull, there were actually 3 but that was the only one standing up. They look small in the picture but they truly are monstrous! There was also a man in the yard fixing up the gardens. We saw a sign that said 'Fresh Eggs for Sale'. That also was new to me as I never knew that someone lived there, nor that there were these huge bulls in the back, or they they sold food. 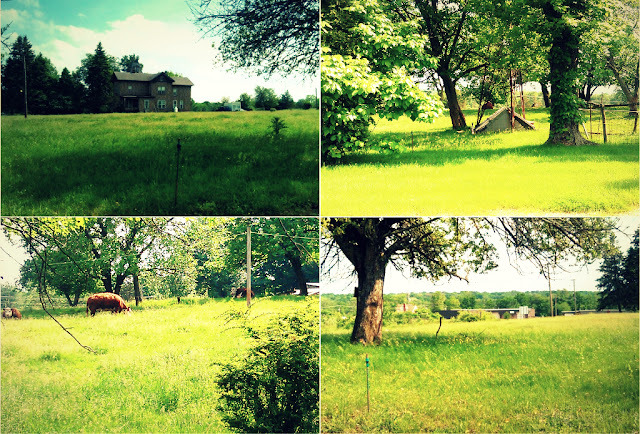 I fell even more in love with this home as we stood outside Li's car and continued looking across the yard. It's the little things in the life, (or big things if you look at the size of that bull) that are always there, that we seem to pay very little attention of, then one day someone opens up our eyes and it creates a bigger picture than ever before. Yesterday was this for me. I'm happy with all the emotions this weekend has brought that I've found more beauty and more love around me. I hope you do too! 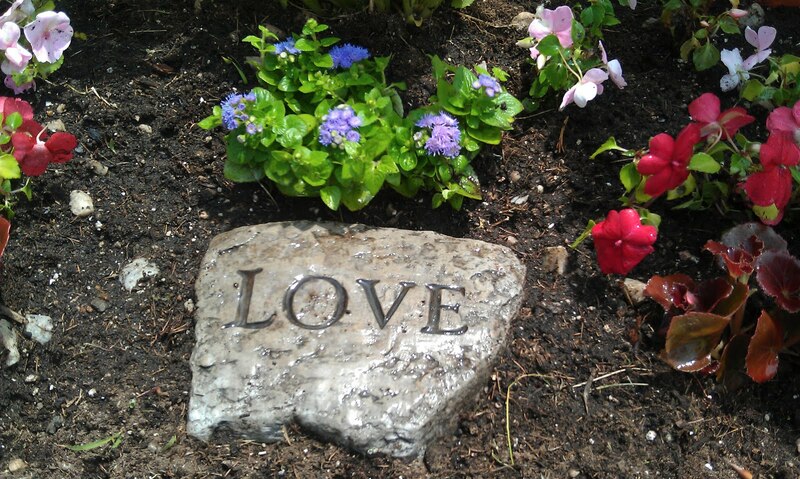 The 'Love Stone' that I put at the cemetery last year for my Grandparents and Uncle.